Future Australian World Surfing Champions and Olympic surf stars received another massive boost today as the Surfing Australia High Performance Centre (HPC) officially opened the doors on a major expansion project thanks to both Australian and State government funding grants combined with Surfing Australia investment. The new expanded HPC is an officially recognised Olympic Training Facility and is four times the size of the original HPC building that opened in 2012. Bigger and better Aerial Surf Skate Training Facility including skate ramps rolling into air bags, half pipe, 2 x Olympic trampolines, 1 x super trampoline, foam pit and climbing walls. All these new facilities will allow for a full-blooded Olympic Campaign heading towards the 2020 games in Japan, whilst ensuring the continued flow of Australian World Champions on the World Surf League (WSL) World Tour. The facility will offer talented surfers from around the nation a world class training environment. The HPC is also open to recreational surfers via paid camps and other sports will utilise the facility. The expansion project was made possible by the Australian Government’s investment of $2.536 million in funding through the Building Better Regions Fund and the New South Wales Government represented by Sport and Recreation within the Office of Sport who funded $3 million for the expansion. The balance of the facility funding was through Surfing Australia Investment and through philanthropic donations by Don O'Rorke from Consolidated Properties, Hutchinson Builders support and another private donor. Minister for Regional Development, Territories and Local Government John McVeigh said the local economy is already benefiting from the new state-of-the-art centre. “There’s been a big increase in the number of surfers riding waves at Casuarina which means business is on the crest of a boom. The regional economy has been given a $1.3 million boost since 2012 and it’s likely to more than double over the next five years,” said Dr McVeigh. “Investing in regional sports is not only good for our health and Olympic results, but it also generates economic activity, with this project alone supporting more than 60 jobs during construction and some 90 ongoing roles in the community. Surfing Australia would also like to sincerely thank and acknowledge Harvey Norman who provided the entire furniture fit out at the new HPC. The level of fit out is incredible, and all thanks to the generosity of Harvey Norman. The HPC has also been supported by the SAE Group who provided the facility with a 100 KW solar system to ensure the building is environmentally friendly. The HPC will provide elite Australian surfers and their coaches with the opportunity to practice and train in a controlled, world-class environment, pushing boundaries and ultimately defining the future of the sport at an Olympic and World Tour level. 2012 World Surf League (WSL) Men's World Champion Joel Parkinson said: "To see what Andrew Stark and his staff have done here is incredible and I really congratulate everyone on this amazing building. It's such perfect timing with the building complete, I can't think of any reason Australia can't go to Tokyo 2020 and bring home both men's and women's gold medals." 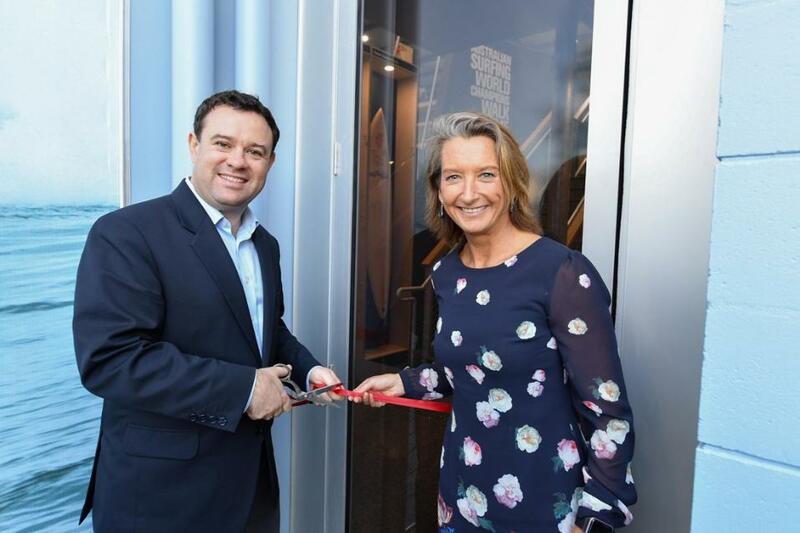 Surfing Australia CEO Andrew Stark said the expansion of the HPC serves as an even better tool for future Australian surfing success on the world stage. "This is an extremely proud day as CEO of Surfing Australia to be a part of history and open this amazing 4000 square metre training facility for Australian surfers that will serve the sport and national organisation for generations to come. We are so very fortunate to have the support of Australian and State governments who made this dream a reality and we will be forever grateful. This is a true legacy project for Surfing in this country and one that will deliver continued success on the global stage. VIP Attendees at today’s Surfing Australia High Performance Centre Expansion Grand Opening included: Surfing Australia Life Member Alan Atkins, Australian Surfing Hall of Fame Inductee Colin Smith, Surfing Australia Life Member and former Chair Norm Innis, Surfing Australia Life Member Don O’Rorke, The Hon Stuart Ayres MP, Member for Richmond Justine Elliott, Member for Tweed Geoff Provest and Tweed Shire Councillor James Owen. 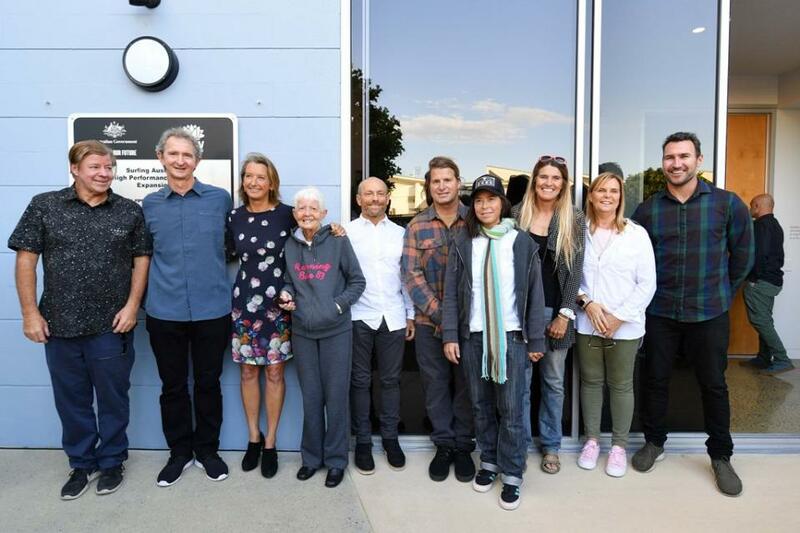 World Champions In attendance Included: Phyllis O’Donnell, Layne Beachley, Joel Parkinson, Wayne ‘Rabbit’ Bartholomew, Mark Richards, Pauline Menczer, Tom Carroll, Mark Occhilupo, Wendy Botha and Pam Burridge. World Champions in attendance; (L to R): Wayne ‘Rabbit’ Bartholomew, Mark Richards, Layne Beachley, Phyllis O’Donnell, Tom Carroll, Mark Occhilupo, Pauline Menczer, Pam Burridge, Wendy Botha and Joel Parkinson.